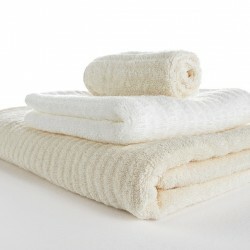 The Abyss Super Pile is regarded as one of the finest luxury towels available anywhere in the world today. Super Pile towels are known for superior durability, maintaining their colour, and being 20% more absorbent then their closest competitor. Available in a 60 colour palette it’s no wonder that this vibrant and beautiful towel collection is our most popular among our customers. Abyss Super Pile Robes are made from Giza 70 cotton; a cotton considered to be one of the finest long-staple Egyptian cottons available. This soft and luxurious cotton is used in all three weaving directions: weft, warp, and pile. 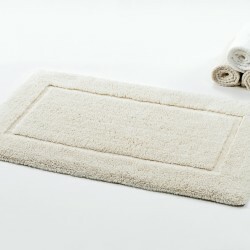 This ensures a soft, durable and extremely absorbent luxury towel. Giza 70 is also a registered Egyptian cotton species, and is less than 0.3% of cotton produced in the world today. 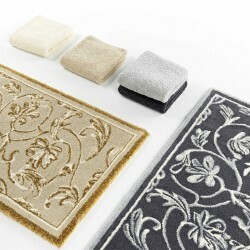 Rated as one of the finest luxury towels, robes, and rugs available today. 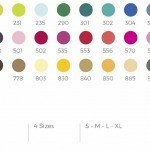 Abyss Super Pile Robes are typically stocked in Medium and Large sizes and are normally readily available in White, Ecru, Linen and Atmosphere colours. For all other sizes and colours please allow 4-5 weeks for delivery. Free shipping and handling is included at no additional charge on orders of $100 or more. Machine wash and tumble dry using moderate or colder temperatures. Be sure to wash towels separately from other household linens, rugs and clothing. Always use a mild soap that does not contain any bleach or fabric softener. An excellent choice would be TOWELWASH® from LeBlanc as it does not contain any bleaches, caustics, phosphates or sulfates. This specially formulated detergent is pH neutral, contain no enzymes, softening agents, or optical brighteners. Abyss Towels are guaranteed against any defect in materials and workmanship. This is provided that the care instructions have been followed accordingly and all of the labels are still intact.